Starting your own Online Store? Check this out! What is G2A Pay API Integration? 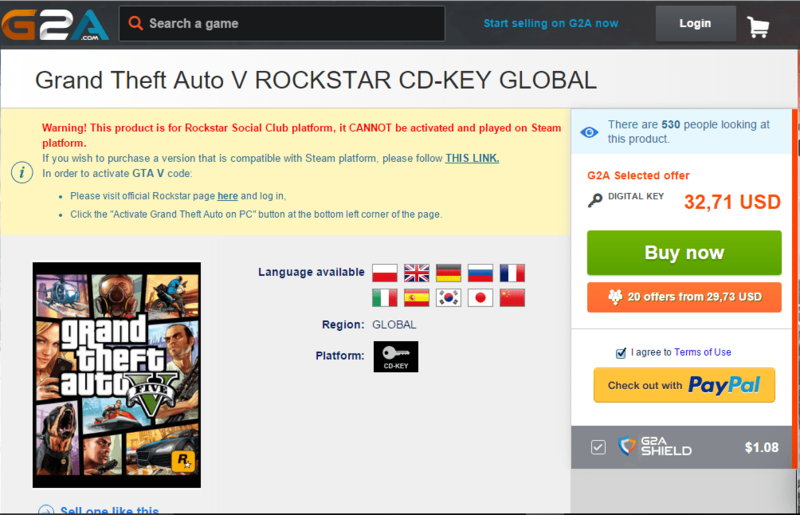 G2A has a marketplace that sells keys for PC games and PSN and Xbox Live credit. Along with it you can also find various gift cards of portals like Steam, Apple iTunes, OPSkins, Xbox live, Google play, EGB Egaming bets and many more. G2A covers a big market in gaming codes section. It’s a marketplace, just like eBay where sellers meet their customers. The keys or gift cards are not sold by G2A rather it’s sold by the users, G2A acts like an intermediary between the seller and the buyer. Once you buy a game, your code is emailed to you and then you can successfully activate your game after the purchase just in few minutes ! 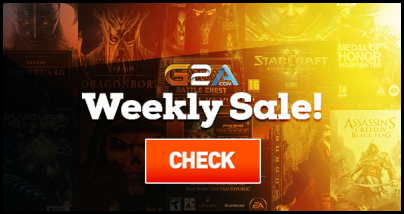 Check out the G2A Weekly Sale for great offers!! Integrating G2A Pay is a great way to boost your eCommerce store! It also covers various local players such as PayTM which is famous in India and many use it. It can be quickly activated on any e-commerce system. G2A Pay Checkout is designed to cover vast niche of devices available like mobiles, desktop, tablets etc. and thus providing an optimized payment procedure for the users. G2A Pay integrated with your eCommerce store. A software-to-software interface which allows separate parties to communicate with each other without any previous user knowledge or intervention. The process that takes place behind our eyes are carried out. G2A pay uses REST API and the integration of it allows one step payment gateway. 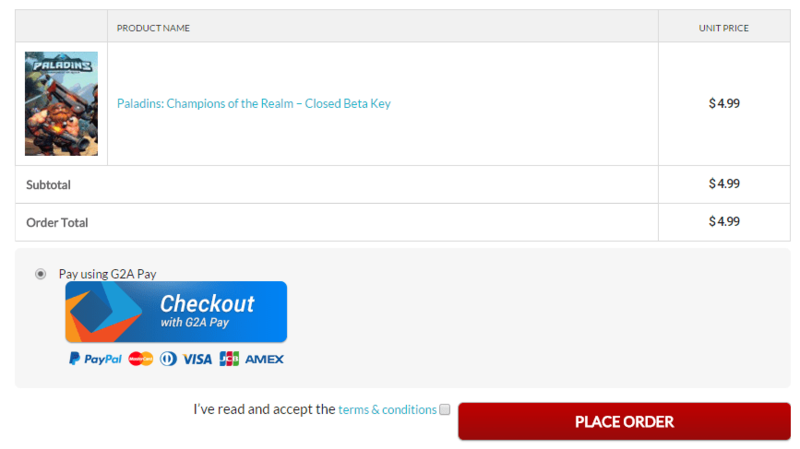 Many stores like BetaGameKeys has G2A Pay integrated in their site for payments. The integration of G2A Pay makes things easier for the merchants with just one step payment. Also for the merchant it saves valuable time as it can be integrated quickly. It can also trigger refund manually. Not only that G2A Pay provides various payment methods which includes PayPal, credit cards or payment by G2A wallet (among others). One of the best features of G2A Pay is its G2A Shield. G2A Shield provides customer protection by reimbursing full money if some fraud occurs during your purchase. Also it ensures 100% resolution of the problem even for the seller along with the buyer and also makes it hassle free from seller or merchant point of view. This is where G2A Shield comes in show. 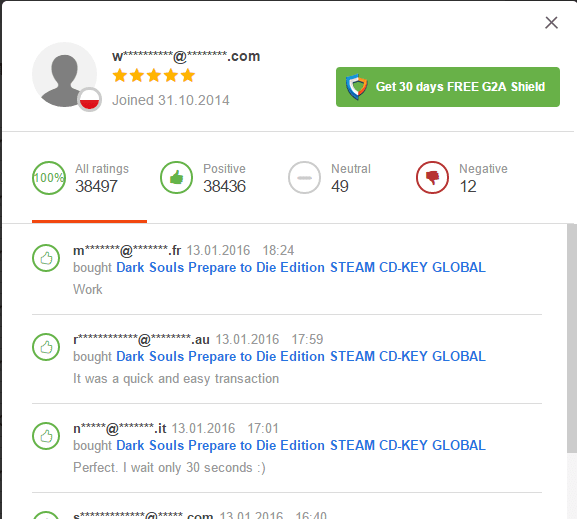 G2A also provides free marketing for its merchant. Where G2A interacts with its merchants, and based on the merchant’s business model and level of cooperation, G2A works on a broad stream of solutions to acquire audience for the merchant & and make his business more booming by using their reach on various places to offer marketing to the merchant and its business. The service is free and who doesn’t like saving some bucks if he can. Saving some bucks won’t hurt you. They take care of the payment and online marketing stuff as well, Bam! Moreover G2A Pay gateway is really easy to use and there is no obligation about anything, and most importantly all your information is kept secure and safe. The service uses security protocols and does not share information with any third parties. 7 million G2A Wallet users all around the World. Each and every user on the merchant site with G2A Pay who keeps their payment methods saved can buy quickly on the merchant store within a few seconds with just a click. Customers who pay with G2A Pay have access to 24×7 LiveChat. G2A provides free support to merchants.If any merchant has any doubt regarding G2A Pay , he can contact them regarding the payment and its various other aspects. While purchasing anything from G2A marketplace, G2A automatically adds it’s own customer right protection service, G2A Shield. This Shield provides an insurance against a revoked or non-working key. 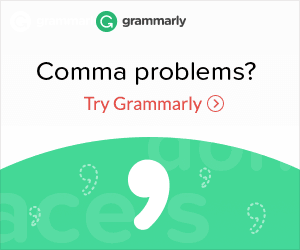 This service costs around $1 but saves your from getting cheated. G2A ensures 100% full protection to the buyer in case of any problem with any of the item bought & it also guarantees that you’ll be given a new key if you’re cheated or your key is revoked. In short you will be provided with refund or replacement for any invalid item. So before starting writing on G2A, I thought of comparing its myself and surfed over internet to find price of GTA V, Fallout 4 and Witcher 3:Wild Hunt. Head to G2A and you’ll see it’s marketplace. Once you finalize the seller(with good reviews), just head on to buy it. As discussed above, Paying in G2A is a single step process, thanks to G2A Pay. So I searched for GTA V and found it selling as cheap as 29,73 USD. Further I checked out for different sellers and different offers. Most of the sellers had a rating above 98% which sounds good as well! Before buying, make sure you’ve checked the region and it’s availability on the required platform. G2A won’t provide any refund if you’ve bought for wrong region! Buying games is very easy, once you finalize what you want, just click on Buy Now button and you’re good to go. web site іs fantastic, aѕ well as the content!